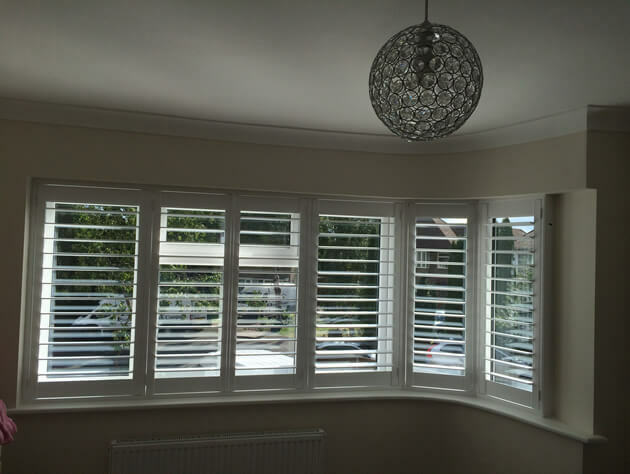 Jamie was at a home in Bromley, very close to our office to help a client with shutters for rooms of their home. 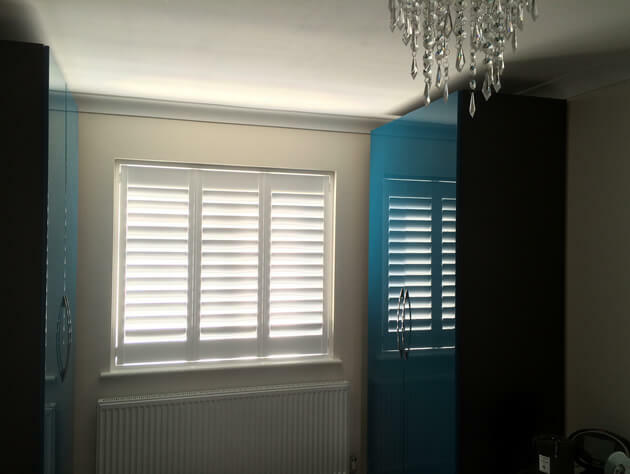 The customer was looking to have shutters bespoke made and installed throughout multiple rooms of the property with windows of different shapes to create the shutters for. One of the main windows of the home features a curved recess that we had to customise our shutters to fit perfectly. 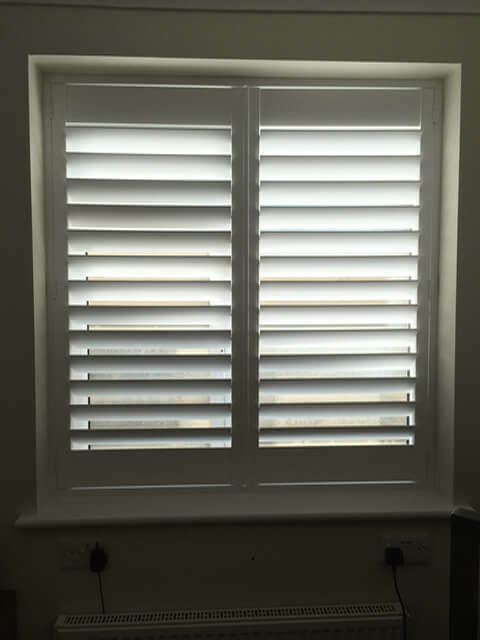 You would not be able to achieve this kind of millimetre perfect fitment with any other window dressings and the way the shutter panels curve around not only look great but function just as any other shutters would. All shutters were created using MDF in full height style. 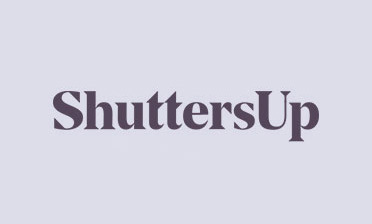 The advantage of having custom made shutters is that we not only create shutters tailored exactly to the size of your windows, but can finish them in exactly the same way throughout the house, even if they are of different sizing and shape. 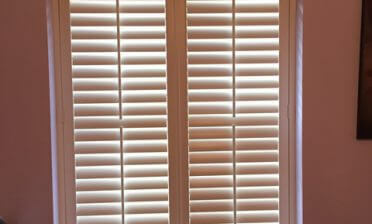 The louvres are 89mm with a hidden tilt rod system to operate all the shutters. This simply means that you are able to adjust the slats by touch, which opens and closes all the slats on the panel by the same amount. 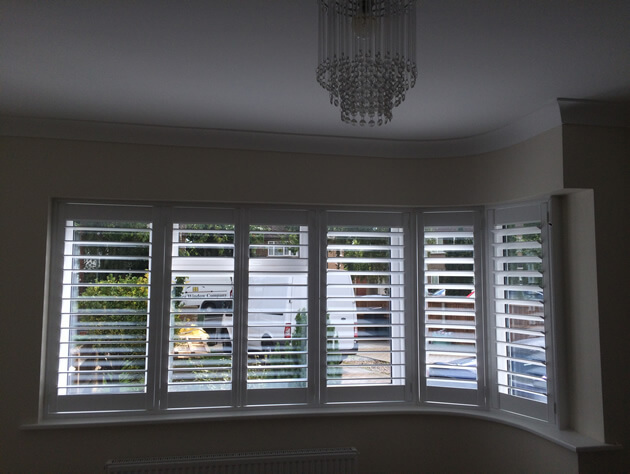 Often people use a visible tilt rod to achieve this but with our shutters we can hide the tilting mechanism within the shutters, creating a modern and contemporary look. We finished all the window shutters in pure white with matching white hinges. 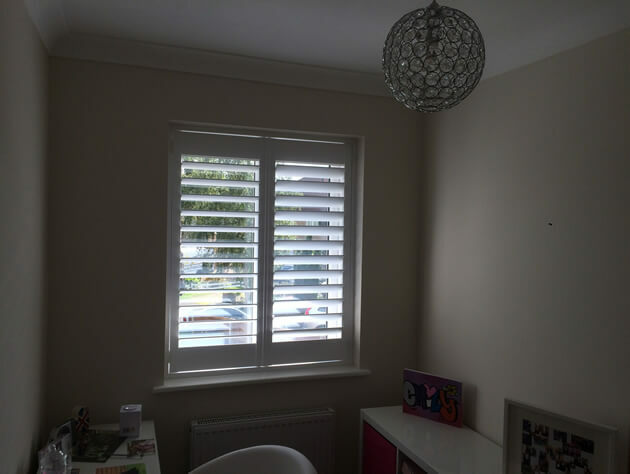 Overall the shutters have transformed the rooms of this home as well as achieving a great level of privacy and security which was one of the clients aims in the discussions we had with.